SAN FRANCISCO -- Sometimes, getting out of the grind of city life can be a great way to reset--even if it doesn't actually mean getting out of the city itself. If you're looking to de-stress and fall back in love with San Francisco, why not book a weekend staycation at a local hotel? We've rounded up three spots that are offering rooms for two this weekend (Friday, February 2nd-Sunday, February 4th) at a great price compared to the standard rate. All rates are for two people and include taxes and fees, unless otherwise noted. 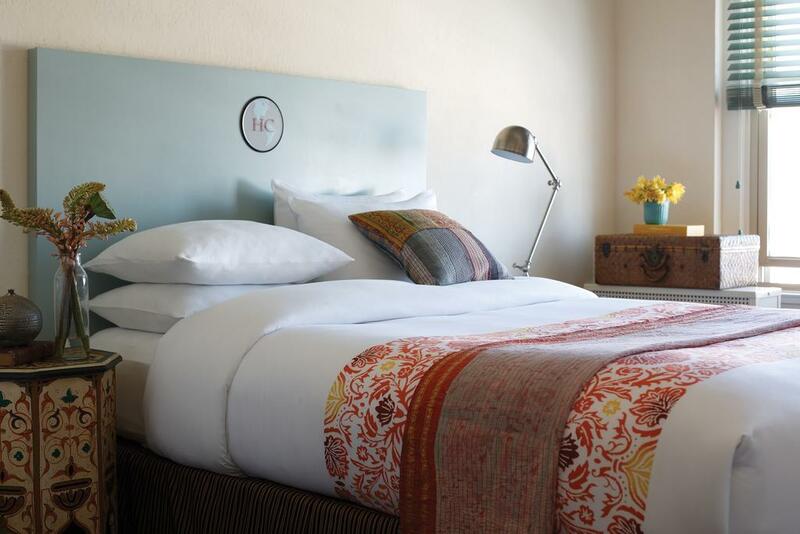 For a getaway on the cheap, consider this three-star hotel on the border of the Tenderloin and Nob Hill. While it lacks ultra-fancy amenities, it does have all the basics, including housekeeping, room service, and free wifi. And the location is prime, with easy access to downtown, Russian Hill, or the plethora of hip new bars and restaurants popping up in the Tenderloin itself. Plus, you can't beat the price: $164 for two nights, including taxes and fees (compared to $504 in peak season). If you've got a little more cash to throw around, upgrade to this chic boutique hotel outside Union Square. Just a short walk to Chinatown and North Beach, the Carlton has a fun, fresh look, a staff that earns raves from reviewers, and a cozy lounge with a working fireplace (and sometimes live jazz as well). And if you've got a furry friend you can't be parted from, the hotel is pet-friendly, too. 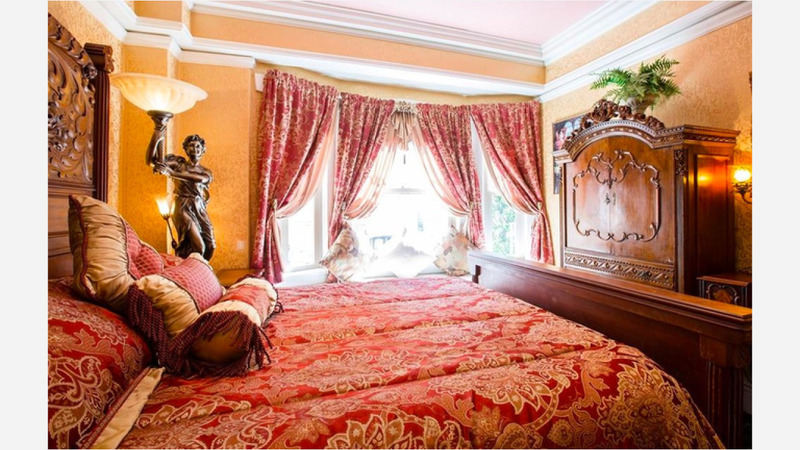 A two-night stay is normally $389, but it's currently available for $275. Looking to ball out on a budget? 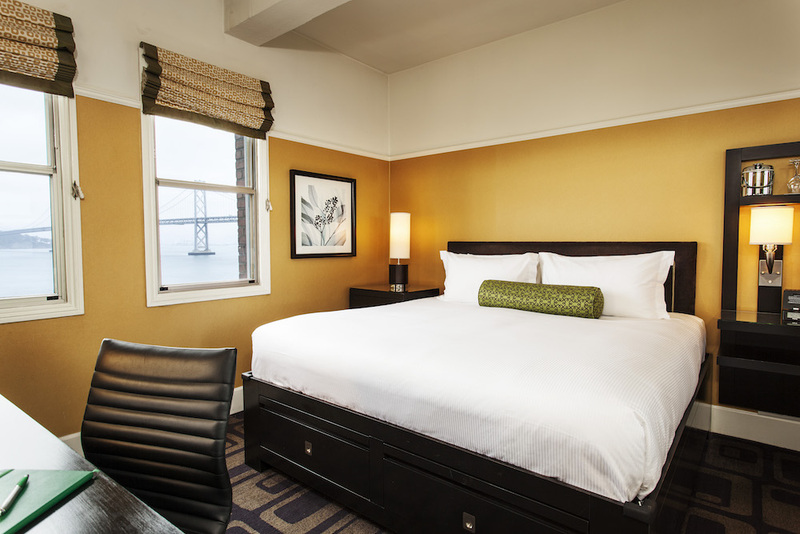 Book yourself into the Harbor Court Hotel, which features stunning views of the Bay Bridge and Embarcadero, a swimming pool, and a fitness center. Breakfast at the Saturday-morning Ferry Plaza Farmers Market is as simple as a trip across the street, and the hotel offers bicycle rentals as well, in case you want to pedal up and down the Embarcadero. Two nights here usually run $537, but they're currently going for $293.